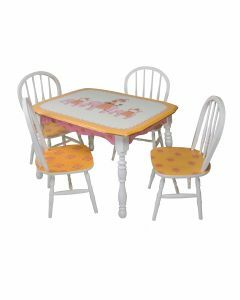 Playtime has never been more fun than with the Classic Enchanted Forest Vintage Play Table and Chairs Set! 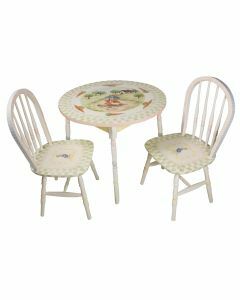 Price as shown includes vintage table and two child chairs in a linen finish with the classic enchanted forest motif. This item can be customized in a variety of finishes; contact customer service for custom options. 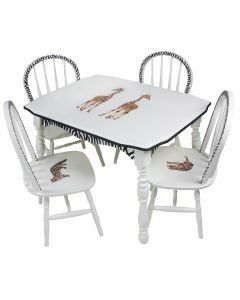 Table measures 23”H x 36”W x 28”D. Each chair measures 29”H x 15”W x 15”D. Click on image for greater detail. 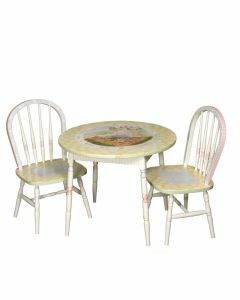 Please note this item is custom made to order and the production time is approximately 10-12 weeks.